Would you not like to earn an extra income working from home? Taking surveys on these 50 best survey sites 2018 is one of the quickest ways to make money online. The advantage of this is that it is a part-time side hustle you can do in your free time or the evening after your full-time job. It is also convenient because it only takes less than 10 minutes to complete a survey paid between $1 to $10. Therefore, if you have 2 hours you can complete ten surveys, and if each is paid approximately $5 you end up making $50, which is equal to $1500 per month. Best Tip: Join more than three of these 50 best survey sites 2018 to increase your offers and expand your choice base. Affiliate Disclaimer: This post might contain affiliate links. Read a full Disclaimer Policy here. This is one of the oldest survey sites around because it has more than three million registered users/members. It pays in points which you can redeem or exchange into cash or gift cards. For example, 1000 points are equivalent to $10. Survey junkie has top paid surveys with their prices ranging from $1 to $20 per survey. It is one of the best surveys 2018 because they are popular, so you can trust that their offers are legitimate. All you need is 5 to 20 minutes per day to complete a survey, and you will end up making money online or even making a full-time income working from home. 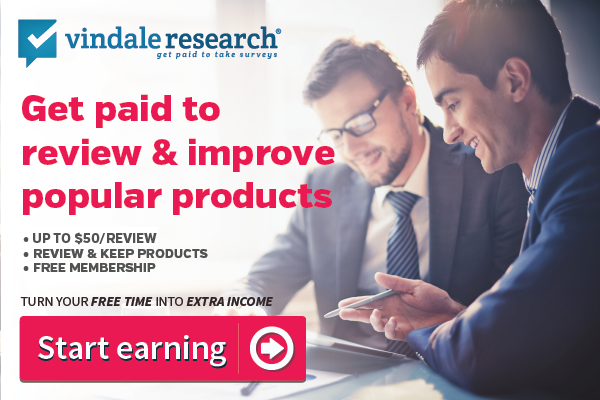 Unlike other survey sites which will pay in points first, then you exchange into gift cards, cash among other prices, Vindale Research pays in cash straight away after every survey. It has some of the top paid surveys because it partners with big companies, such as Disney, Amazon, Samsung, Nike and the like. You will get a $1 sign up bonus immediately after joining even before you complete any survey. Apart from taking surveys, you can also make $5 to $75 reviewing products, $0.10/per action of opening and responding to emails, $0.25 watching videos, $5 for referring a friend and $5 for selling photos among other ways. You can easily make good money taking surveys on this site because they have many available offers. They have a special program for mobile users, which makes it easy to complete their surveys from anywhere with your mobile phone. Harris Poll Online has been in the survey market for the last 45 years mostly in the United States and Canadian markets. People in Canada can either use French or English portals to complete surveys. It offers top paid surveys because it works with big brands, such as iTunes, Starbucks, and Amazon among others. After completing a survey, you are paid in the form of points known as HIpoints. For example, you can earn around 15 HIpoints per survey. After you get the points, you can then transform them into e-cards, gift cards from the brands above, or change them to cash. For instance, you will get paid $10 for every 1250 points. Harris Poll is one of the best survey sites in 2018 because you can win the quarterly lottery price for the best survey takers of $10,000. They also have extra opportunities, such as taking part in local focus group campaigns and surveys, which are high paying. The name can tell you that MyPoints is a point-based reward system survey site where you earn points for taking surveys, polls, watching videos and shopping online and many more activities. It is one of the oldest survey site established in 1996, which makes it one of the best surveys sites in 2018 because it is legit. They have paid over $500 rewards in the form of cash and gif cards to their members. My Points will send you a bonus reward of $5 just for signing up even before you complete any survey. Apart from redeeming points into cash (700 points equal $5) and gift cards (such as $3 eBay gift card equals 480 points), you can also change them into travel miles (for example, 6,900 points equal 2,500 miles). Another way to earn in this survey site is by referring a friend where you get 25 points free! If you love shopping online, the points you earn from this survey site can cut down your spending in those stores because you will need to redeem those points. Swagbucks is a household name in all make online money articles because it is one of the sites to make quick cash on the internet. Apart from earning through taking top paid surveys, you will also be able to make money in other ways, such as watching videos, playing games and shopping among others. You will get a free sign up bonus of $5 just for becoming a member of Swagbucks. It has a unique and best referral program in the survey industry because when you refer a friend, you earn 10% of their lifetime earnings unlike in other survey sites where you are paid once. On a rough estimate, you can make anywhere between 1 to 500 points per survey, and the site has many of them so your bucket will never run dry. This site has more than 20 million users, which shows that it a legitimate opportunity you can use to make good money online. 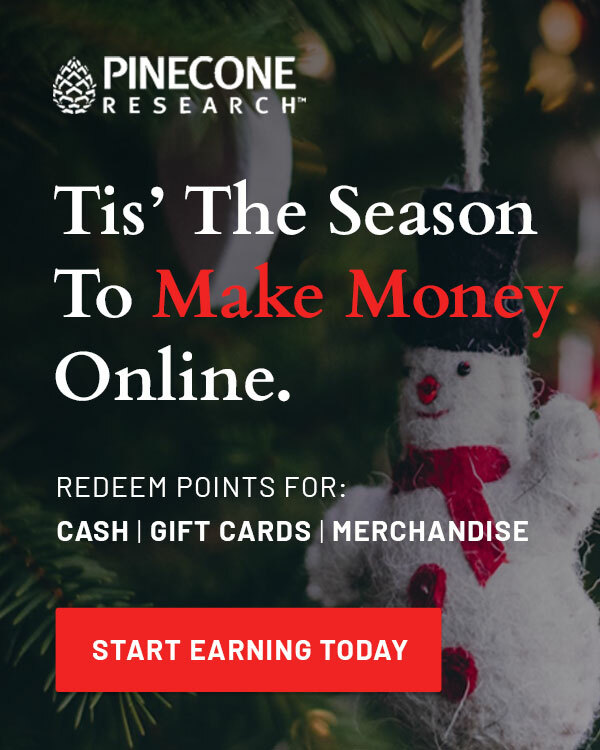 Once you join Pinecone Research, you will get a sign-up bonus of $3, which is entirely free and you do not have to complete any survey to get it. It has too many surveys, which pay from $3 to $50, making it one of the best survey sites in 2018. You can also make money from testing and reviewing products and get paid $3 to $6 per test. You will also have a chance to participate in the bi-weekly and quarterly Sweepstakes cash contest of $500 and $4,500 respectively. They offer a wide variety of rewards, such as cash sent through PayPal or cheque or gift cards from Amazon, Walmart, and other famous stores. Prize Rebel was established in 2007 and has over 7 million active users, which proofs that is it a legitimate company and one the best survey sites 2018. It has one of the shortest sign-up process, which only takes less than five minutes. 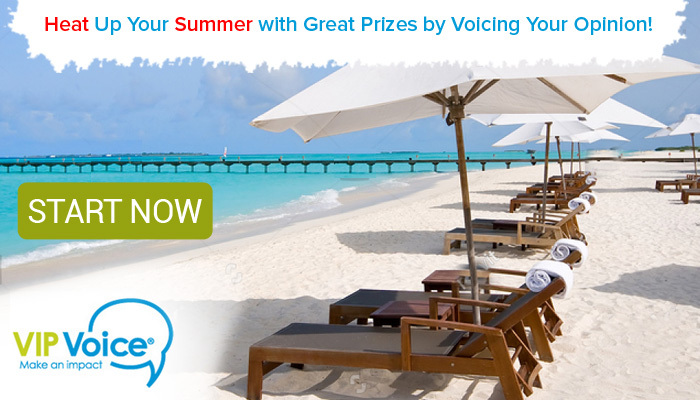 Prize Rebel has numerous top paid surveys, which means you will never run out of options. You will get paid through gift cards, bitcoin, and other cash prizes. You can also get 20-30% of the total earnings of someone you refer. Apart from taking surveys, you will also be able to make money from watching videos, filling forms and participating in cash contests among others. The thing that makes Product Report Card the best survey site 2018 is that you can subscribe to receive notifications via email or text messages when new survey offers are available. Make $5.00-$8.00 free bonus for completing your profile. Earn $0.25-$10.00 per survey. These rates are not fixed because some surveys pay higher than those rates. Make $0.50-$5.00 testing and reviewing products and other such offers. Take part in focus group local studies and make $150.00-$200.00. All these rewards are paid by cash, cheque, PayPal, shopping vouchers or gift cards, and the process of claiming them is very easy. Below are some of the things which make Survey Club one of the best survey sites 2018. Unlike other survey companies, if you fail a survey, you will get compensated $0.10 just for taking part in the survey. There are seasonal opportunities for focus group studies, which pay $10 to $200 and clinical research studies which pay more than $1000. Their payment process is easy, and it is made through cheque, paypal and gift cards. The minimum withdrawal amount is $20. Gift cards: For example, you will get paid $30 for 90,000 points, or a check of $25 is equivalent to 75,000 points. Toluna gifties: Depending on the number of points in your account, you are eligible for several gifts. Sweepstakes: For example when you earn more than 450 points, you enter into the $4,500 monthly cash contest at sweepstakes. The reward per survey falls anywhere between 15 – 50,000, and you can earn more for other surveys. Toluna mostly pays depending on hours you spend on a task unlike in other surveys where you get fixed points or prizes rewards in a given survey. Their surveys are exciting, and you will enjoy completing studies on this site because they are simple. Most survey sites offer rewards around $1 to $5 to complete a survey, while Survey Voices will give you over $300 to complete a survey. The sign-up process is simple and only takes less than 10 minutes. However, be aware that Survey voices do not conduct any market research or surveys. All they do is redirect you to exclusive survey offers on other sites. You get a sign-up bonus of $5 just for joining Inbox dollars. You will earn around $1.50 per hour taking many surveys, which are all simple. The widespread negative review given about Inbox Dollars is that the disqualification rate after you submit a survey is higher than in other polls. Completing offers and many more options. You can also use their InboxDollar Mobile App for IOS Version & InboxDollars Mobile App for Android Version to make it easy to complete surveys efficiently from your phone, which will increase your earning. iPsos of the oldest survey sites around, which was founded in 1975, and had more than 3 million members. This is one of the best survey sites in 2018 because you will be able to complete more than 8 top paid surveys per month, which means you can easily make some good cash on this site. You will earn around 10 to 100 points per survey, which you can redeem into e-gift cards, cash and shopping vouchers. They also have multiple sweepstakes opportunities, such as quarterly draws where members have a chance to win more than $5,000 cash prices. LifePoints is worth your time because their surveys are top paid, fun and interesting. They have more than 5,000,000 members & contributors. You will get rewards in the form of cash, gift cards and PayPal money transfers, which takes 4-8 weeks processing period. It will take you around 5 to 10 minutes to complete a survey, which pays around $0.5 to $1.25. I loved their dashboard because it is clean and easy to navigate, which makes it less time-consuming to complete a survey. They also pay in points, which you can redeem at different prices. For example, you get $10 for 1200 points. People above 18 years old are eligible to join this survey site. Countries Accepted: Australia, Germany, United Kingdom, South Africa, India, Italy, France, Canada, and Spain. If you love to complete surveys on your mobile phone, you can use this link LifePoint surveys on your Mobile Phone. At MySoapBox Panel you will earn 35 points which are equivalent to $1.50 at the lowest paid survey offers. The advantage is that they have many surveys available because they work with clients from every part of the world. They also pride themselves in quick reward processes and easy surveys, which make them one of the best survey sites on the interent. The other unique feature of this survey site is that most of the surveys are timed and given a specific time estimate. Most people claim that you can make $500 per week completing surveys on this site because they only offer top paid surveys. I do not have proof to those claims, but it is worth checking Opinion City out and see if you can make that good money in the site. They are not real survey sites, but they will redirect you to high paying survey offers. Panda Research is one of the best surveys sites in 2018 because it was founded in 2005, which means it has been here for a while. The registration to this site is free and only takes less than 10 minutes. They have a wide variety of available survey, which you can complete within a short time because they are all easy. Their pay is not that bad because you get paid $1 to $3 per survey, which takes around 5 to 10 minutes. They pay cash only through PayPal, which you can withdraw at any time after you reach the $50 threshold. This is siete where you shall be paid to complete surveys, polls and focus group studies and earn more than $3 per every activity. After you gather enough points, you can redeem them into cash, gift cards and other prizes. Check out other 15 similar sites which pay in cash. You do not need any experience or special skills to make money on MyThoughtsCount Survey Panel because the questions are simple. If you love medical stuff, then this is an opportunity you can use to make money online during your spare time. They will only take you to top paying surveys rewarding $25 to $75 per survey, which makes them one of the best survey sites on the interent. They will also send you direct email alerts when new survey opportunities arise. E-poll surveys are slightly different from those you find in other survey sites because theirs mainly focus on the entertainment industry. On average, they will send you 3-5 survey invites to your email, which you can earn around 500-1000 points because all are short. You can then exchange that amount into cash or gift cards. For example, 7250 points are equivalent to $10. Use the links below to start earning today! You can also make money by entering in the monthly sweepstakes cash contents, with a minimum price of $250. Their surveys are not entirely text-based because some are videos, TV shows and graphics based. Inbox Pays is relatively new in the survey market, but they have received high positive ratings in the recent past. Apart from completing surveys, you will get paid to try offers, read emails, watch videos and play online games. On average, most surveys pay $0.50 and $1.00, but there are others which are highly paid. This best survey site 2018 was founded in 1967, and VIP Voice has become the greatest source of market data and statistics for famous companies. This means that they offer top paying surveys, where you earn points deepening on your membership level and qualification. You will also be able to get several cash discounts, special offers and sweepstakes rewards for completing more surveys in this site. MobileXpression is a legitimate survey site because they are a market research company geared towards collecting information about customers. All you have to do in download their app and begin taking part in several surveys. If you remain active in the first two weeks, you will get a free reward of $5. You will also enter sweepstakes $100,000 cash contest. They also have weekly prizes, such as ipads, cameras, and televisions among others given to their lucky members. You will get paid in cash, gift cards and shopping vouchers among other prices. Earning Station is a site where you complete surveys and other tasks, such as watching videos and get paid in points. You can then exchange those points to cash, bitcoin, gift cards, shopping voucher, and PayPal among others. For example, 3000 points are equivalent to $20. The advantage of this site is that people from all countries are accepted. Most Your-Surveys customers argue that their surveys are more in-depth and take longer to complete, which explains why they are high paying. You must be at least 18 years old to take part in these surveys. This company is relatively new in the market so be sure to do some research on what their customers are saying before you commit. Opinion Square Meter is one of the best survey sites in 2018 because it is owned and managed by TMRG, a leading research company in the United States. Since it was created, reports show that more than 2 million people have participated in their surveys so far. You will be able to participate in 3-4 top paying surveys per month, which means that the site is legitimate and reliable. You will get paid in points, which you can change into different prizes. For example, 1,500 points are equivalent to $5 Amazon gift card. YouGov one of the most legitimate best survey site 2018 with over 4 million active members. Once you sign up, you will get a 2000 points free reward and bonus. Their surveys take 5 to 7 minutes and each pay around $15, which is equivalent to 25, 000 points. Their surveys cover a wide range of topics, which makes this survey site convenient for everyone. It will also give you a wide range of choice to pick from. You can also refer a friend and make 1000 points for every successful referral. OneOpinion, survey site has been carrying out market research for Critical Mix Inc, its founder, and other companies since 2011. Their sign-up process is straightforward and only takes less than five minutes, which will save you lots of time. They have a wide range of surveys to choose from, which means you can easily make good money on this site. You get paid in points, which you redeem into other prizes, such as gift cards, shopping vouchers, and cash among others. For instance, you get $1 for every 1000 points. Tellwut Survey Company has close to one million members, and it is based in North America. They pride themselves in simple surveys, which take less than 30 seconds to complete. You will 5 to 15 points per survey, which are deposited in your account immediately after you complete the survey. 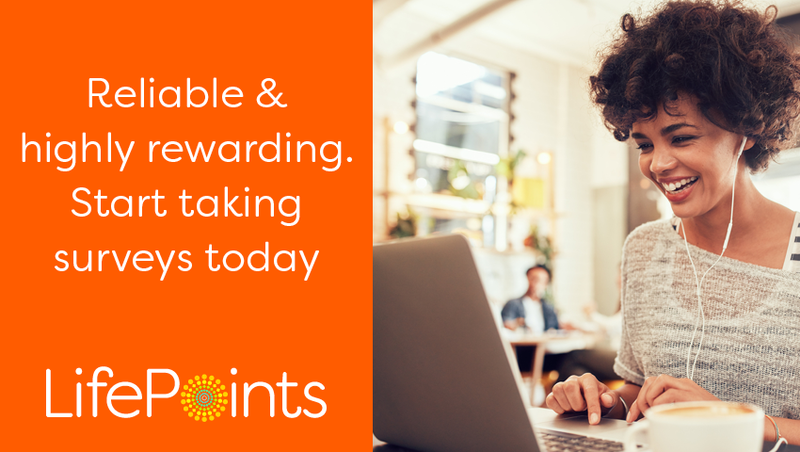 Other point’s rewards include 100 points for creating an account, 200 for providing your personal information and 25 points for referring a friend. Once you get 4000 points and above, you can redeem them into cash, gift cards, and other prizes. Any citizen from Canada or the United States who is above 18 years is eligible to join this survey site. TimeBucks is more than a survey site because it is a GPT (get-paid-to) website where you complete tasks, such as answering surveys, watching videos and answering emails among others. The company was established in 2002, which means it has been around long enough to build a market reputation. You will also get a sign-up bonus of $5 for joining this company. Nielsen Homescan is one of the best survey sites in 2018 because it has positive reviews, and it operates slightly differently in comparison to other survey sites. The company has been around for too long since 1950, which explains why it has positive reviews. Payment rewards: Gift cards mainly from the famous restaurant, gifties consisting different merchandise and sweepstakes entries. You can also earn points and redeem them into cash. Offers: You will get paid to complete tasks related to barcode scanning, taking surveys, product testing and installing mobile apps. Immediately after joining Cashback Research you will get a sign-up bonus of $5 and $0.05 bonus for your first login. You will take less than 10 minutes to complete a survey because most have 1 to 10 multiple questions, where you will end up making $0.25 per survey. Therefore, if you complete 12 surveys you will make something around $10. The site is legitimate, and you can make good money from completing surveys in it during your free time. NiceQuest is a GPT (get-paid-to) site which means that you can make money in other ways, such as watching videos, apart from completing surveys. It has been around for the last 14 years, and it has more than 2 million members, making it one of the best survey site in 2018. Their surveys are for everyone, and it is possible to complete more than three per month. You collect/earn points per survey, which you then change into cash, vouchers, merchandise, gift cards and donations among others. They also have numerous monthly draw rewards where you expect to earn several cash prizes and gifts, such as iPhones and television sets. They also have a mobile app, which makes completing surveys from your mobile phone easier and convenient. Once you join iSurveyWorld, you will get a free $5 sign up bonus even before you complete any survey. You only need 10 to 30 minutes to complete a survey on this site, which is paid at the rate of $0.25-$1.50. Payments are just made through PayPal. Their main focus is on surveys related to entertainment and product research. Most opportunities available are for completing surveys, but Spanish speakers can find extra money making opportunities. Countries Accepted: Mexico, Colombia, United States, and Spain among other countries. Springboard America one of the largest research company in that industry. It has been around since 2006, which explains why they are one of the best survey sites for 2018. It will only take less than 10 minutes to complete a survey and earn a pay of around $0.50-$2.00 per survey. Opportunities: You will be able to make money in the following ways; completing surveys, product testing and referring friends. Luxury Opinions is a survey site for people who love to travel using first class air and road transport. You will earn points after completing 5 to 10 minutes survey with simple questions on traveling experiences of customers. Most transport companies use such feedback to improve their surveys, and overcome market competition and pressure. These surveys are most open to people in Germany and Switzerland. Point Club is one of the best survey site 2018 because they are legit and offer some of the top paid survey options. Rewards: After completing a survey you will be paid in the form of points, gift cards, credit cards, vouchers and sweepstakes prices. For example, $1 is equivalent to 1000 points. Even if you are disqualified after taking a survey, you will still earn 12 points for taking part in the survey. They have daily cash prices and contents, which you can make more money once you become a member of this survey site. OpinionBureau is a branch of Toluna, one of the most popular and best survey sites in 2018. Rewards: This is purely a survey site where you can complete as many surveys as you wish and get paid through points, gift cards, retail vouchers, credit cards, and sweepstakes entries. For example, 2000 points are equivalent to $20. You will use less than 10 minutes to complete a survey, and you will immediately be awarded 100 points worth $1 for every survey you complete. However, this is not a fixed rate because some surveys pay higher depending on the complexity. They will send 1-10 survey invitations to your email every month, which makes the process even easier and convenient. Countries Accepted: United States, United Kingdom, Germany, France, Australia and Singapore among others. 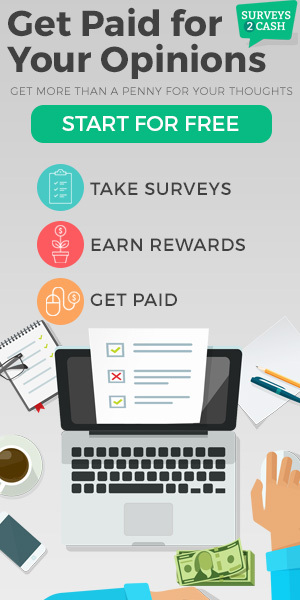 Survey Rewardz is a survey site, which is directly involved in market research, which explains why they have top paid surveys and they are one of the best survey sites in 2018. After completing a survey for less than 5 minutes, you expect to make between $0.50 and $2.00 per survey. This price is not fixed because some surveys pay even more than $10 depending on the complexity. Rewards: They will pay through PayPal deposit, gift cards, and mailed check. The advantage is that they have low minimum payout thresholds in comparison to another survey site. For instance, the minimum PayPal payout is $1, check payout is $5 and Amazon gift card payout is $5. There many ways you can make money on MindsPay, such as taking surveys, shopping, taking part in focus groups studies, referring a friend, and signing up for trial offers. Immediately after signing up, you will get a $3 bonus. They have top paid surveys because you expect to make anything between $3 to $75 per survey. If you manage to make a successful referral, you will get 10% of their total earning. They also have a vibrant email opening and reading program where you expect to make $0.25 per email. They only pay via PayPal and the minimum withdrawal limit is $50. The main advantage of ZenSurveys is that they have numerous survey opportunities you can complete and make money online. If you love to use an anonymous identity online, this is one of the few survey sites that will allow you to complete polls in such a state. In ZenSurveys, most surveys pay under $1, which is paid in the form of cash through PayPal deposit or check. At opinion surveys, you will get paid to share your opinions in surveys and daily polls. They have numerous survey opportunities, which means you can easily make good money on this site. Rewards: After completing a survey or poll, you will get paid in the form of prizes, sweepstakes entries, and gift cards. Anybody above 18 years is eligible as long as they reside in the following countries; New Zealand, Canada, Australia, United Kingdom, and the United States. 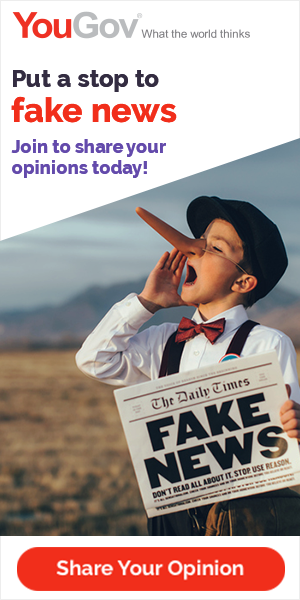 Opinium is a market research panel made up of more than 40,000 members who share their opinion on different topics. Their surveys are interesting and short (each takes less than 10 minutes), and you will earn around 50 points per survey. They have surveys in most subjects, but their main focus is on topics related to website usability, social issues, and product development testing. You can get at least three survey invitations per month sent directly to your email account. Rewards: After completing surveys and other offers on this site, you get paid via cash, bank transfer, sweepstakes entries, and charity donations. Ways to make money: There are three major ways you can make money in this site, taking surveys, participating in focus groups and referring friends. Surveyo24 is not a market research company, but an aggregator site that collects legitimate surveys around the web and notifies you in your email. Opportunities: At this survey site you will be able to make money in the following ways; taking surveys, participating in focus groups and product testing, mystery shopping and discussion groups studies. They have a simple 3-step sign up process where you begin with registration, then take a survey and finally get paid for your feedback and opinions. Surveys2Cash is like a listing or aggregating site, which gathers surveys from popular sites and brings them to your notice. They argue that they only provide top paid surveys, which reward $25 to $75. The registration process takes less than 5 minutes, which makes joining SurveyMomma convenient. OpinionNetwork is operated by one of the largest marketing research company, SurveyEveryone Group Inc.
You will earn a bonus of $1 for signing up and another $1 for completing your profile. Each survey is paid 50 to 75 points, which you can redeem into cash or gift cards. They only pay through PayPal with a minimum withdrawal limit of $25, and the payment period takes 2 to 14 days. They have many survey options, so it is possible to complete up to 10 per day, which increases your money making potential. The PanelStation has been around for the past ten years, and its community has grown to more than 3 million members. Rewards: After completing a survey in this best survey site 2018, you will get paid in the form of cash deposited on PayPal, Amazon gift cards, shopping vouchers, and sweepstakes entries. They have many surveys, especially for teens, moms, and experts from different subject areas. Their surveys are highly rewarded because you expect to earn 100-5000 points per survey depending on the length and complexity. Anyone above 16 years can join this survey site if they live in the United States, New Zealand, United Kingdom, and other countries allowed by the survey site. They also have a mobile app you can use to complete surveys directly from your mobile phone. 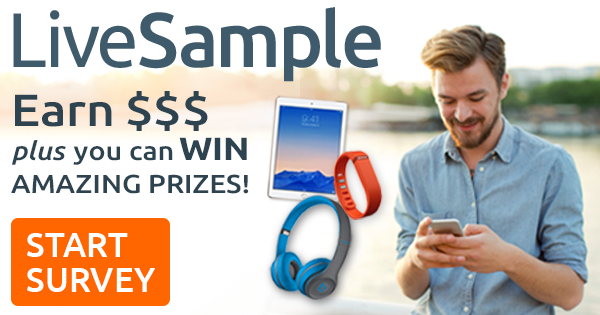 LiveSample Surveys is a survey site, which has many survey options, which means you can easily make good money from this site. They also have a Sweepstakes cash content every three months where the winner gets $50,000 price. Use these quick links to join this survey site based on your location; United States, United Kingdom, and Canada. Make Survey Money is a relatively new surveys site in the market founded in 2017 by Logit Group, a famous market research company. After signing up, you will get 200 points free, which is equivalent to $2 bonus. After you reach the minimum point’s threshold of 25,000 points, you will get paid in the form of prepaid debit and credit cards. Their payment process is fast and only takes 24 hours from the time you withdraw to the point the amount is paid. Nielsen Computer and Mobile Panel is an app that will pay you for providing it with your mobile usage data. The company has been around for the last 20+ years, and its major purpose is to collect market research data on how people use electronic devices. You will get paid $50 per year just for installing the app and letting it remain active. They pay in the form of gift cards and merchandise from different online stores, such as Target, Starbucks and Amazon among others.